Predicted by Dimitri Mandeleev in 1871, protactinium was first identified in 1913 by Kasimir Fajans and Oswald Helmuth Gohring. It is highly radioactive, scarce and toxic element and has no uses outside scientific research. Dmitri Mendeleev predicted the existence of an element between uranium and thorium, in 1871 . William Crookes, in 1900, successfully isolated protactinium as a radioactive material but instead of classifying it as a new element he called it uranium-X. In 1913, Kasimir Fajans and Oswald Helmuth Gohring identified an isotope of protactinium and named it brevium. The isotope he studied was protactinium-234 and had short half-life of 6.7 hours. Four years later a more stable isotope of protactinium was discovered by Otto Hahn and Lise Meitner. They chose a name Proto-actinium for this element indicating actinium (Ac-89) is a decay product of this new element. The international union for pure and applied chemistry finalized the name protactinium for this new element, in 1949. They credited Otto Hahn and Meitner for its discovery. Aristid von Grosse first isolated protactinium in elemental form in 1934. Protactinium is one of the rarest naturally occurring elements. Two isotopes of protactinium Pa-231 and Pa-234 occur naturally. Pa-231 is the most abundant naturally occurring isotope. Protactinium is found in uraninite ore (uraninite is a uranium rich ore). Both isotopes of protactinium are a decay product of different isotopes of uranium. It is homogeneously dispersed in water and most natural minerals. Protactinium is also produced in nuclear reactors. In 1961, 127g of 99.9% pure protactinium (Pa-231) was produced by United Kingdom atomic energy authority which remained a substantial supply for the whole world for scientific studies on protactinium. These 127 grams of protactinium was obtained by a 12 stage procedure which processed 60 tonnes of waste material, costing 0.5 million USD. Protactinium is dense silver grey metal. It is highly radioactive. It belongs to actinide series and is placed between thorium and uranium in the periodic table. The melting point of protactinium is lower than thorium but higher than that of uranium. Protactinium crystallizes and forms a rigid tetragonal structure at room temperature. It is paramagnetic and becomes superconductor at low temperatures. The atomic number of protactinium is 91 and is represented by symbol Pa.
Protactinium has bright metallic lustre and tarnishes slowly in air. Protactinium reacts with air, oxygen, acids and water vapours. It does not react with alkalis. Protactinium oxides easily convert to hydroxides and form various salts. It can be used as a tracer in paleoceanography and geology. Protactinium relative concentration in water and minerals is used for radiometric dating of sediments . Protactinium-233 with half-life of 27 days is used as neutron poison because of its high cross section for neutron capture. Protactinium is highly radioactive element. Isotopes of protactinium decay via both alpha and beta decay. Protactinium-231 contributes to the radio-toxicity of the spent fuel in nuclear reactors. It is also a toxic element. Protactinium is naturally present in most natural products and minerals in small amount . When inhaled through air or ingested with food or water a small amount of protactinium is absorbed by the body which goes to kidney, liver and bones. Due to its radioactivity it promotes cancer in human body. Protactinium has twenty-nine known radioisotopes. Apart from Pa-231 all the isotopes are unstable with half-life ranging from few days to less than few seconds. Protactinium-231 is known to have the longest half-life amongst the isotopes of protactinium. 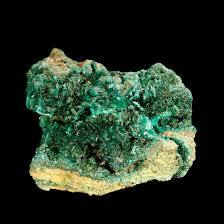 It is a decay product of uranium and has a half-life of 32,760 years. Protactinium isotopes form actinium and uranium isotopes as decay products .
. Emsley, John (2003)  “Protactinium”. Nature’s Building Blocks: An A-Z Guide to the Elements. Oxford, England, UK: Oxford University Press. pp. 347–349.
. Hammond, C. R. The Elements, in Handbook of Chemistry and Physics (81st ed.). CRC press. ISBN 0-8493-0485-7.
. Articles “Protactinium” and “Protactinium-231 – thorium-230 dating” in Encyclopaedia Britannica, 15th edition, 1995, p. 737.
. Audi, G.; Bersillon, O.; Blachot, J.; Wapstra, A. H. (2003). “The NUBASE evaluation of nuclear and decay properties” , Nuclear Physics A. 729:3. doi:10.1016/j.nuclphysa.2003.11.001.